High quality cleaning services for your business can be achieved by industrial sweepers. 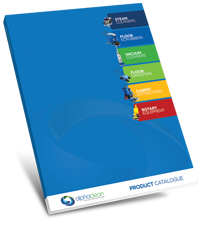 With a vast range of applications and uses, these machines are perfect for even the most difficult of cleaning jobs. They provide a reliable level of cleaning and are fairly inexpensive to maintain. You want to make sure that you can get a job done efficiently when you need to clean roads, factory floors and other commercial floor surfaces. Performing the job manually can be costly and time-consuming. Considering automated assistance can save your valuable time and money. 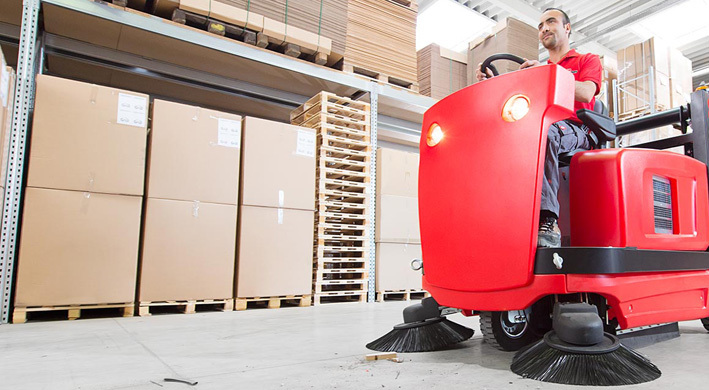 Sweepers have the ability to clean large surface areas quickly. You’ll find that the high standard of cleaning is reliable and consistent every time-no matter what the duration of the job. This makes floor sweepers a much more inexpensive alternative to other cleaning options. One of the biggest misconceptions about automated cleaning systems is high maintenance costs. Many people wrongly believe that the cost of maintaining machines is too high and that during the perceived frequent periods of maintenance, the intended work will be left unfinished. Fortunately, that is not the case. Sweepers today are designed to avoid these problems. By building the machines with robust, high quality parts, the level of maintenance has been drastically reduced. This means a cost-effective solution for any business. Sweepers are exceptionally user-friendly. This negates a lot of potential time and money spent on training staff. Instead you can be sure that operators can concentrate on performing a good job. These machines also offer a range of integral safety mechanisms so you can be sure that your staff are safe at all times. This results in the cleaning equipment operating at maximum productivity levels constantly. Since the purchase of an industrial sweeping machine is an investment in your business, it is crucial that the purchase should not be repeated on a regular basis. These machines are assuredly built to last. They are expected to produce the same reliable levels of cleaning for many years. This means you will not need to spend money on replacement machinery for years to come. Sweepers provide the most efficient and high quality solution to all your cleaning needs. They are noted for being inexpensive to maintain, requiring little operator training and being built to last through the years, making this a cost-effective choice for many businesses.